VII.11.2 Pompeii. Dwelling house. Linked to VII.11.3. 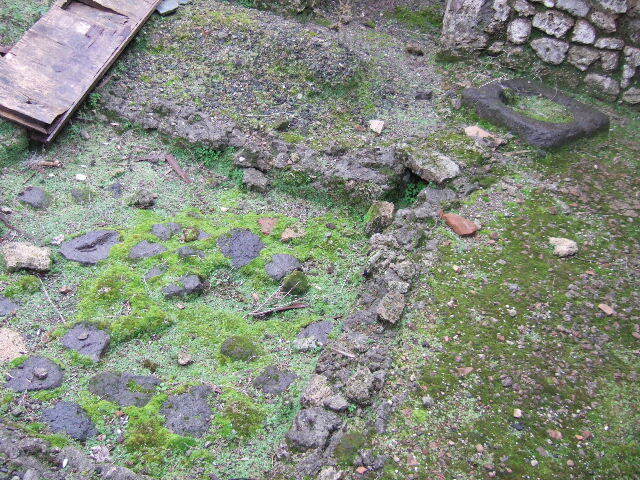 Excavated 1862. (Vico della Maschera 5). 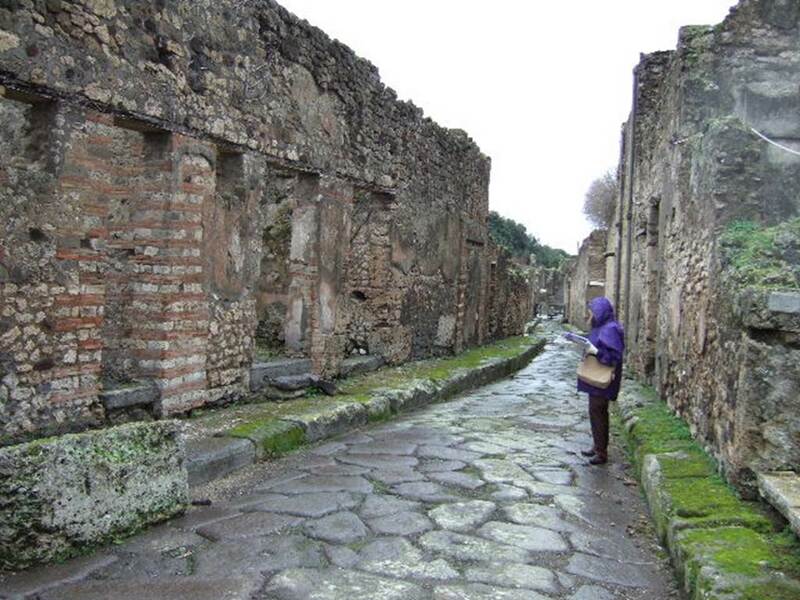 VII.11.4, VII.11.3, VII.11.2, Pompeii, on left. December 2005. Vicolo della Maschera, looking south. VII.10 on right. 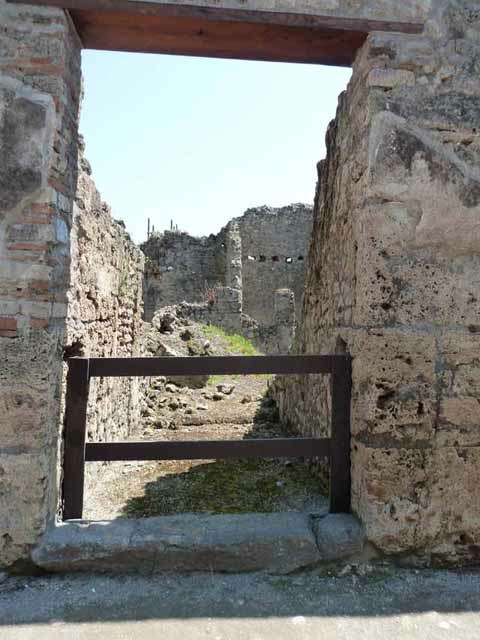 VII.11.2 Pompeii. May 2010. Entrance doorway, looking east. 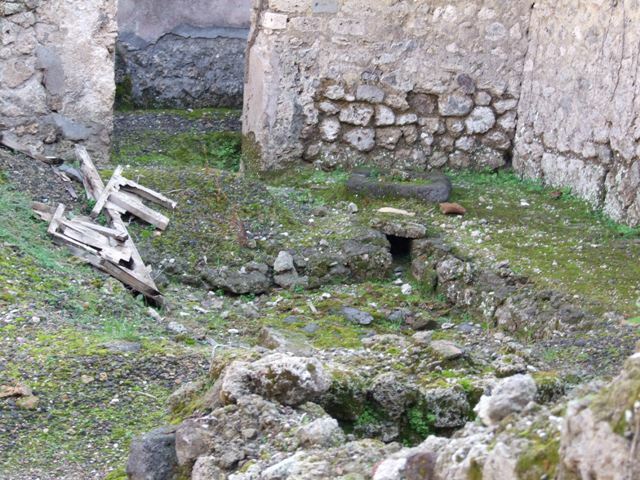 VII.11.2 Pompeii. December 2007. Entrance doorway. According to Boyce, between the two entrances, on the pilaster on the left side above, Mercury was painted with an animal by his side. Helbig thought it resembled a dog more than a ram. Frohlich described it as vanished and destroyed. VII.11.2 Pompeii. December 2005. Entrance doorway, looking east. VII.11.2 Pompeii. December 2007. 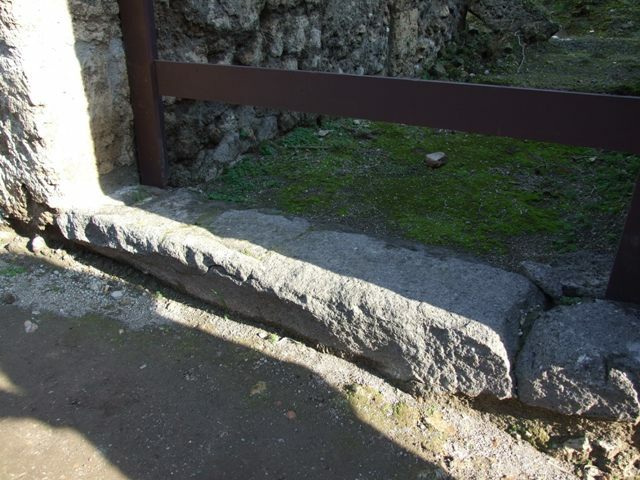 Entrance sill or threshold. 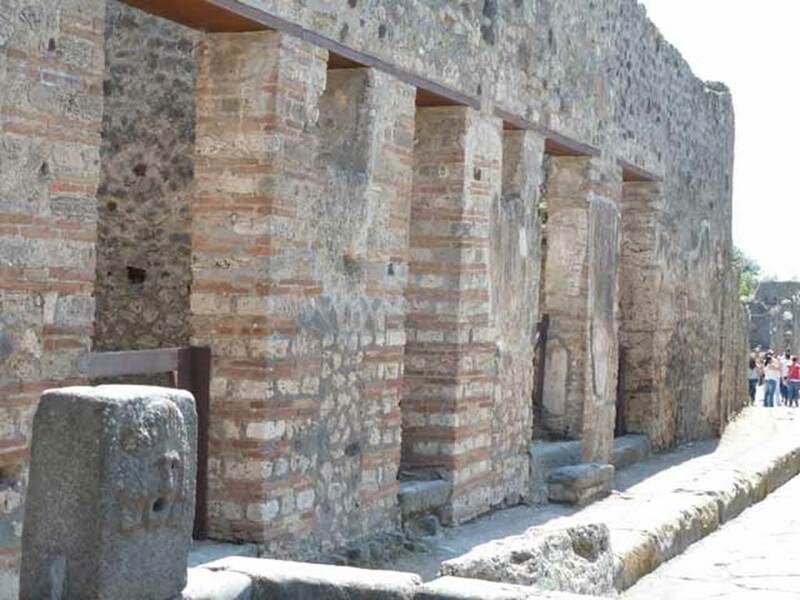 VII.11.2 Pompeii. December 2007. 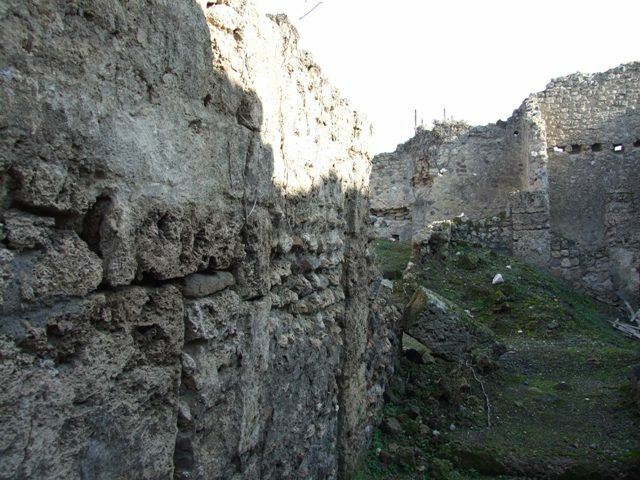 North wall of fauces. VII.11.2 Pompeii. December 2007. 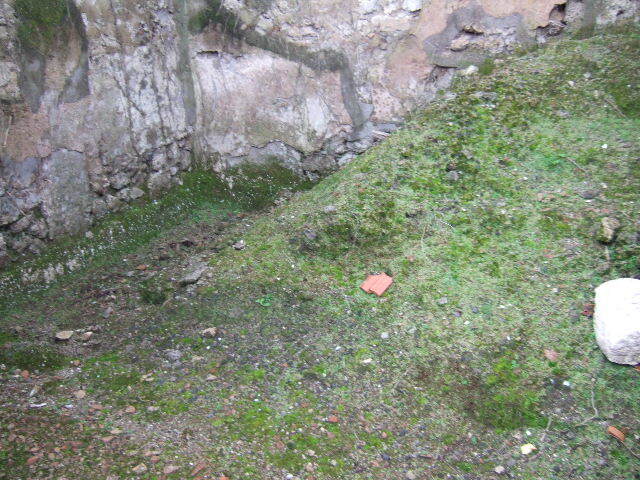 South wall of fauces and looking east to rear of dwelling. 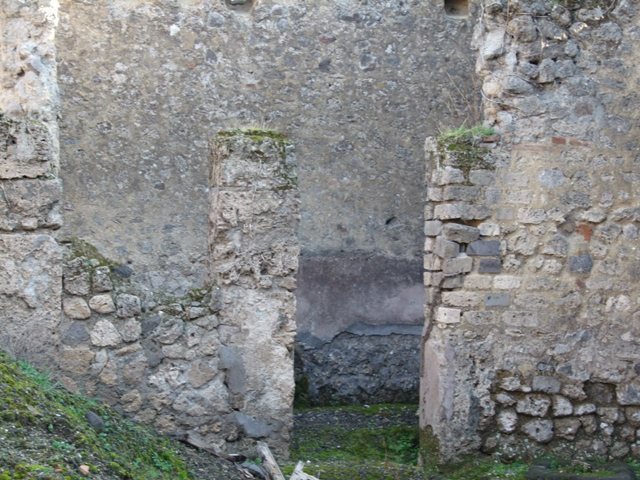 VII.11.2 Pompeii. December 2007. 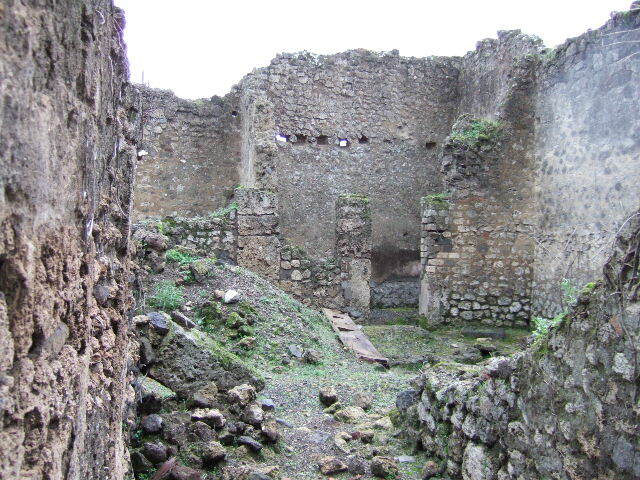 Looking east across remains of atrium. VII.11.2 Pompeii. December 2005. 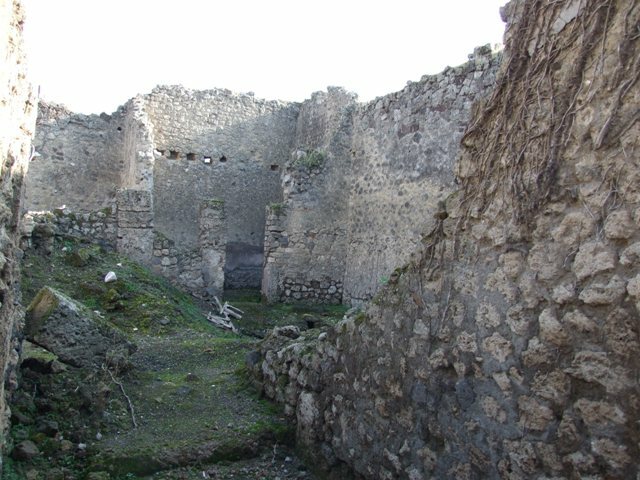 Looking east across remains of atrium. VII.11.2 Pompeii. December 2005. 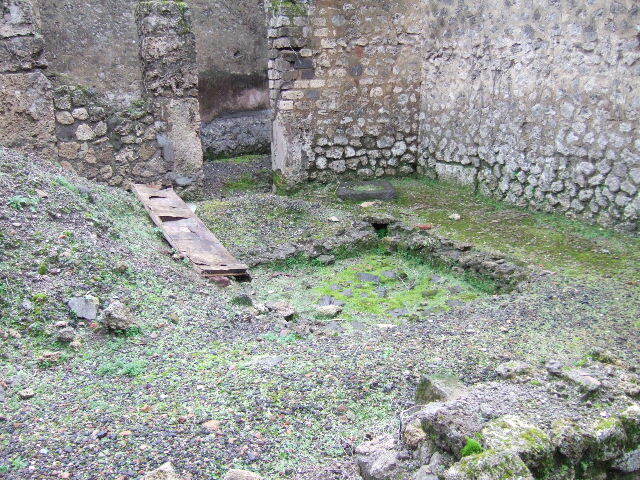 Atrium with masonry impluvium. VII.11.2 Pompeii. December 2007. 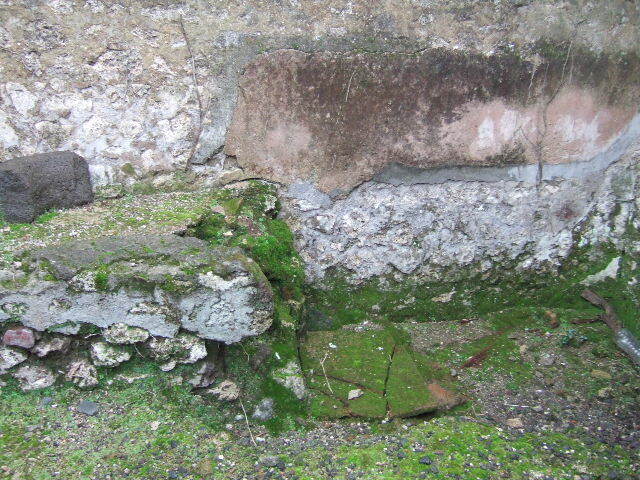 Masonry impluvium in atrium. VII.11.2 Pompeii. December 2005. Impluvium and cistern head. VII.11.2 Pompeii. December 2007. 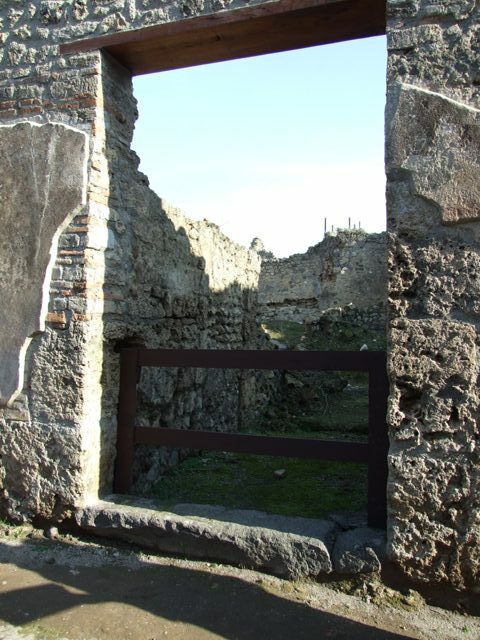 Doorway to kitchen and latrine at rear of dwelling. 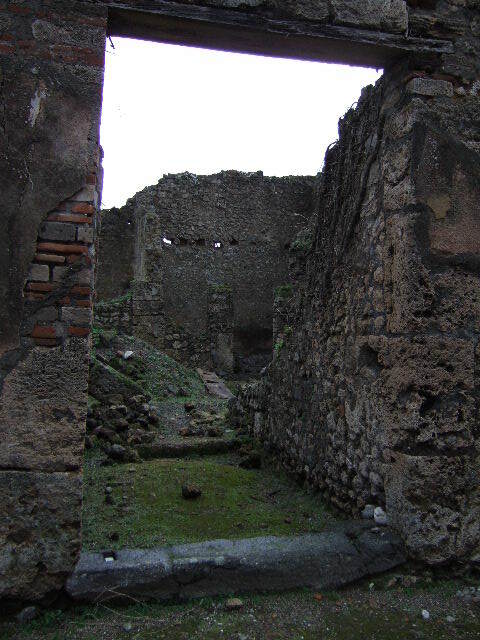 VII.11.2 Pompeii. December 2005. 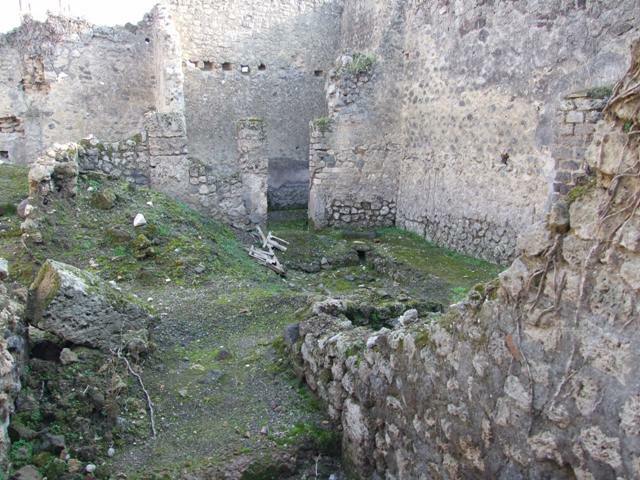 Kitchen and latrine.